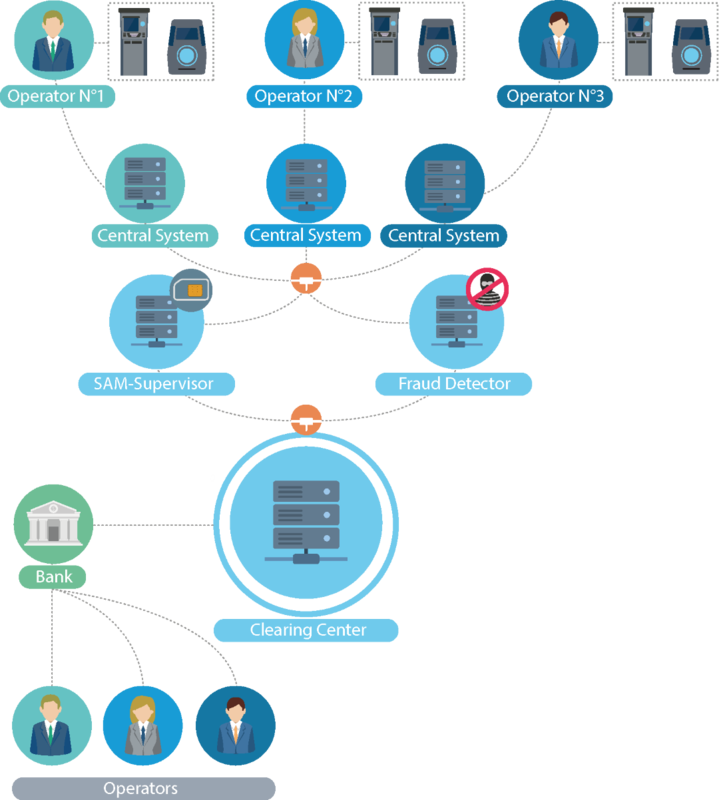 As a central element connected to all of the ticketing equipment of an interoperable network, the ticketing clearing center centralizes all transactions and generates reports ensuring a correct distribution of revenue. In order to meet the needs of the regional interoperability, the ticketing clearing center can handle different fare offers as well as the contents of the cards and transport tickets. Flexible, it easily integrates new players, as well as the evolution of the rules of interoperability and commercial agreements. Reliable clearing for each operator of an interoperable network. Respect for the agreed commercial agreements. Secure transmission of compensation reports. The administration interface allows each operator to control its activity thanks to the availability of inventory and operating reports. The data are processed in real time to allow accurate and representative monitoring of the current activity. Each operator of the interoperable network has a dedicated interface with real-time analysis of sales and validations. 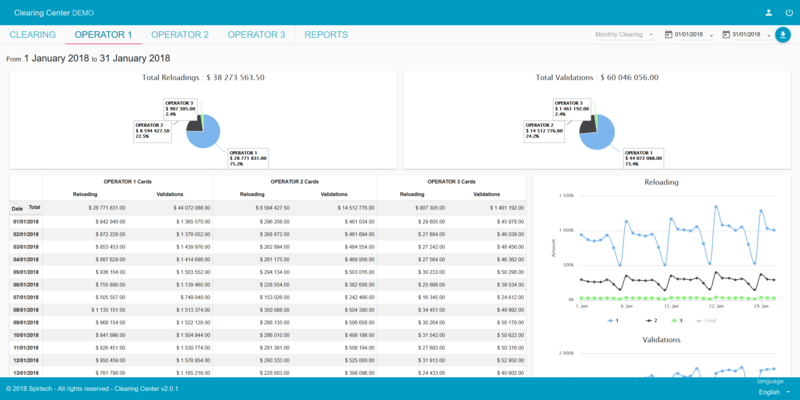 Via detailed indicators, each operator can view the evolution of sales and validations and the resulting impact. Each ticketing transaction is authenticated before being included in the results of the clearing center. Associated with the fraud detector, the clearing center filters repeated or incorrect transactions to ensure the correct clearing. Based on a responsive design, the administration interface is accessible from a mobile phone.